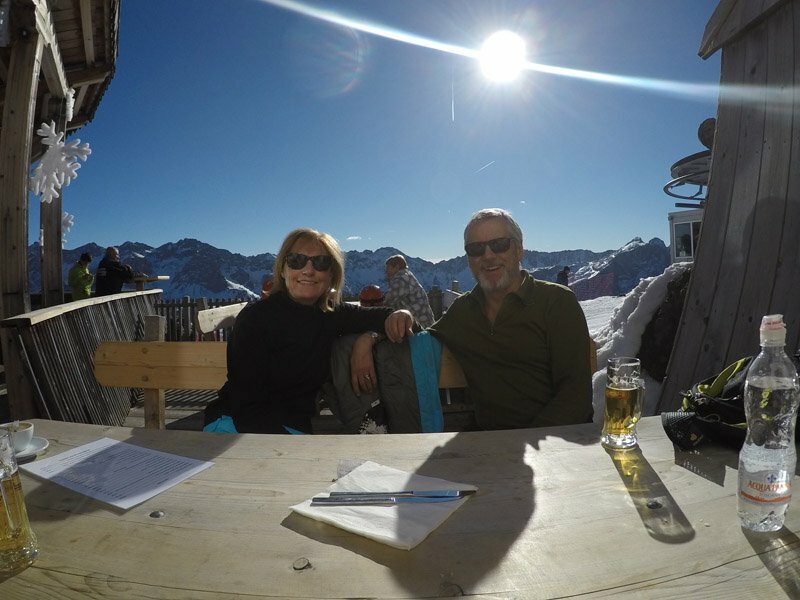 I’m not entirely sure why it should have taken me two complete months since returning from our week ‘s skiing in the Dolomites to get around to pulling a blog together. Perhaps now’s the time to come out with that well-worn excuse trotted out by the recently retired …’ I don’t know how I ever found the time to go to work’. All true! 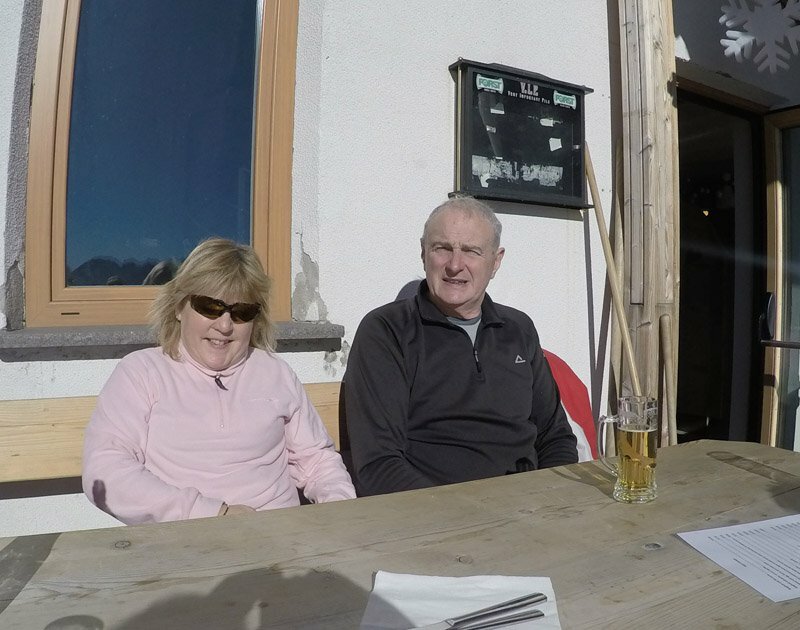 Anyway, notwithstanding the blogging delay, I can report that a very good week’s skiing was had by all. 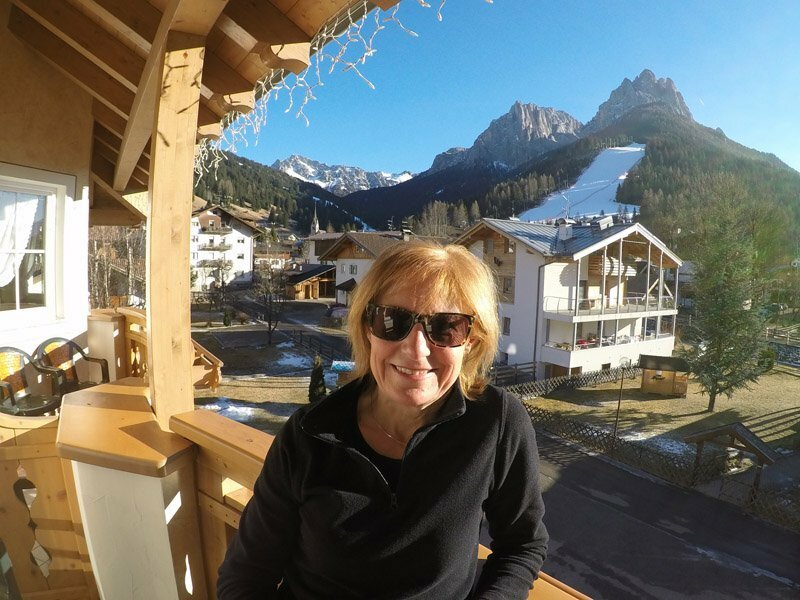 Having thoroughly enjoyed our visit to the Val di Fassa last year we decided to repeat the experience – but this time with the added bonus of being accompanied by Peter and Suzie who, throwing caution to the winds, agreed to join us and trust in our choice of resort. Fortunately the ‘skiing gods’ must have been with us because we certainly struck lucky with the hotel and, as it turned out, the weather. Looking at the rotten snow reports in the days leading up to the holiday I must confess to having panicked a little and at one point actually thought of cancelling our ski passes and packing the walking gear. In the end, however, I needn’t have worried; although the snow was decidedly ‘sparse’ the resorts did an excellent job of making the best of what they had available, and with the help of numerous snow cannon they produced pistes that were well up to our fairly limited standard of skiing. The end result? No broken bones, a few centimetres extra on our waistlines and, most importantly, a thoroughly enjoyable holiday with good friends.